Who will prevail in the battle for humanity's future? The final book in the bestselling British horror trilogy, Blood on the Motorway. Before the storm that ended the world brought humanity to its knees, Max worked for a bank, more concerned that people might mistake him for a banker than how to survive each day. Six months later he’s desperately trying to stay ahead of a psychotic gang leader making a play for the ruined city of London. In Birmingham, Burnett's new Government is trying to stand on its own feet, while Lydia tries to find some peace. Out on the road, Tom and Mira are grieving, just trying to stay alive, when bandits come to tear them apart. But the sky is full of lights once more, and they'll need more than luck to get them through the coming storm. 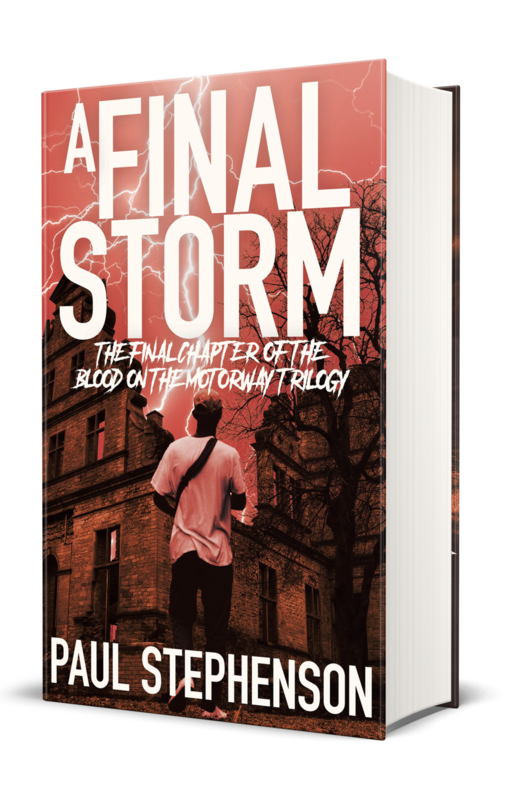 Who will survive, and who will thrive, in this heart-pounding finale to the Blood on the Motorway saga?